When Guy finds the deeds to a house in his mother's attic, it seems like an incredible stroke of luck. Sure, the building hasn't been inhabited in 40 years and vines strangle the age-stained walls, but Guy is convinced he can clean it up and sell it. He'd be crazy to turn down free money. Right? A deranged woman tormented a family in Rookward 40 years before. Now her ghost clings to the building like rot. She's bitter, obsessive, and jealous...and once Guy has moved into her house, she has no intention of ever letting him leave. I was expecting a scary story, I got the chills only once or twice. But that didn't stop me from really enjoying the whole experience. The narrator was okay. A bit bland with no real voice inflection. I liked how the author set up us learning about Thomas' life. I felt sorry for Thomas at the beginning. Then, later in the book, I felt that he deserved what he got. He certainly reaped what he sowed. Unfortunate that his actions affected his family. Guy seemed to be a "woe is me" type. He certainly had anger management issues even after the "incident". The ending, for me, was ridiculous and makes women look weak and pathetic. Finally, there was way to much detail about the renovations Guy was going to make. This book is certainly not the author's best. 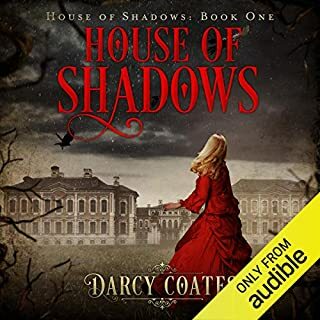 I am a fan of Darcy Coates and have read all of her books. This book is a bit different than all the ones I've listened to. For starters it's a male protagonist and a female antagonist. Most of Coates' books feature a female lead. 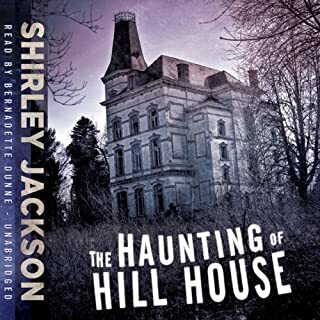 Also this one is narrated by a male, the others I've listened to have all been female narrators. 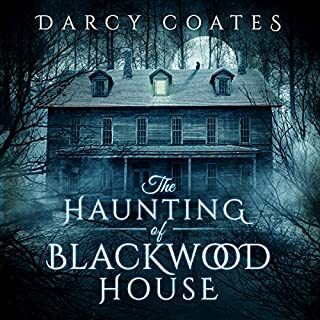 The story is about a ghost who is obsessed with a former lover who believes the man who is now renovating the Rookward House is her lover come back and she will stop at nothing to keep him from leaving. 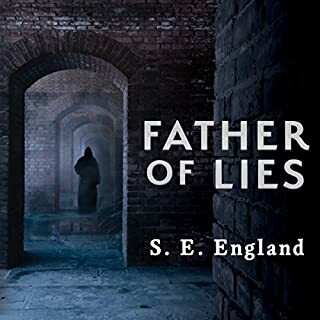 The story flashes between the previous man and his family and the current man at the house without giving the reader much of a segway and the narrator sounds exactly the same in both instances. The only way I could tell if it was a flashback or modern day was when I heard the man's name. Thomas - 1960 something, Guy -modern day. 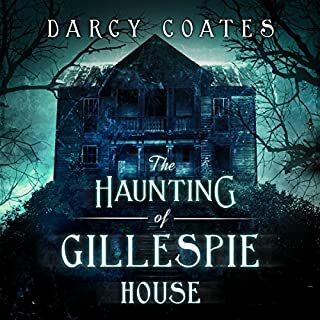 As much as I enjoy Darcy Coates I would suggest to someone who is not familiar with her work to listen to some of her other stories, The Haunting of Gillespie House, The Haunting of Blackwood House or The Folcroft Ghosts. I hope she goes back to writing about strong female protagonists that her fans have come to enjoy from her. Although this book wasn't bad, it definitely wasn't as enjoyable as her other books in my opinion. 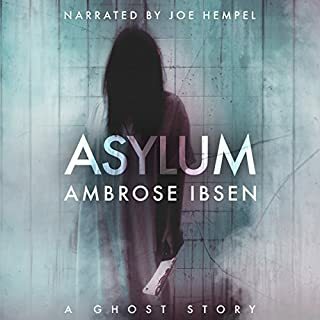 The narration on this book also wasn't the greatest, there were places in the story where I thought listening to one of my college textbooks sounded more exciting than this guy did. Guy is dealing with a situation involving the love his life and discovers his mother owns a home that could potential help him start a new life elsewhere. 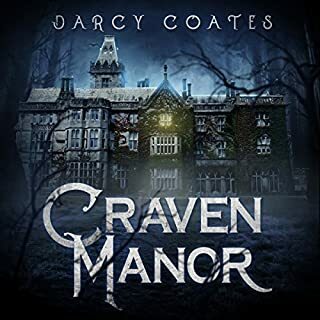 Somewhere where he won't run into Savannah, and somewhere where he can escape what he did to her and the Rookward House help him. If he can survive Amy. There were a few chilling moments, a few moments that startled me, but for the most part I felt it was tamed. 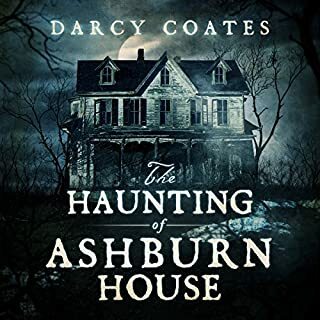 A lot more tamed when you compare this to other Darcy Coates novellas like - The Haunting of Ashburn House, The Hauntiinf of Blackwood House, Dead Lake, and Ghost Camera- all stories that had me sleeping with lights on. This story is still entertaining and I found myself thinking of ways Guy could escape the strangling and supermarket hold of Amy. I wish certain things were answered, things such as: how did Guy's grandpa come to own Rookward House? why couldn't he burn it down like Sophie did in House of Shadows? why didn't Thomas or the police thoroughly search the house to ensure his family was really safe from Amy? This book was hard to finish for me. The main character was hard to like. 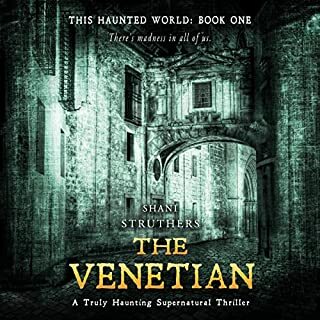 Love a good spooky story! 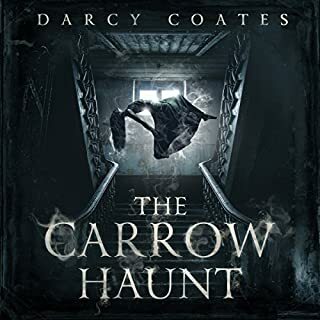 Darcy Coates sure does know how to spin a good spooky story. 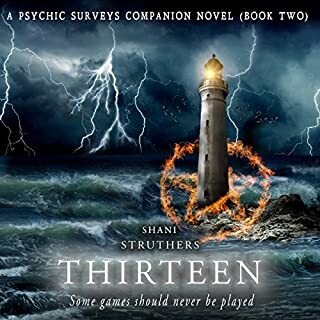 I enjoyed learning about the characters as they go through their trials. I think I found my next favorite haunted story writer. I really enjoy Darcy Coates' books as a rule. They can be a bit slow-moving in places, but there are enough creepy moments to make them enjoyable. Ditto with this story. I will say, however, that my personal preference in her books is a female main protagonist and narrator. 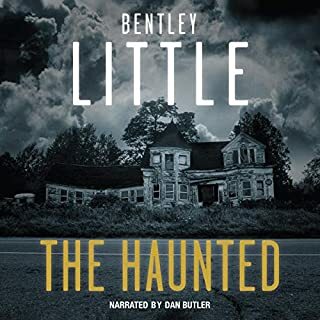 This narrator was good, though, and that makes a huge difference. 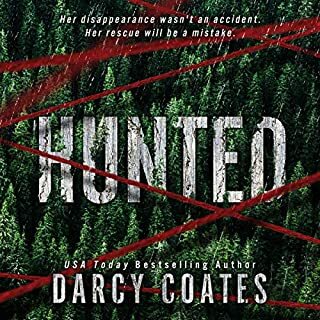 Darcy Coates, as always, is an engaging read with honestly written characters that you start to love m in spite of their flaws. 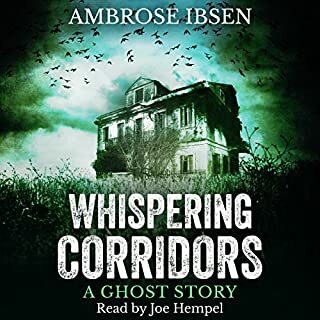 Joe Hempel is an excellent actor and I fall into a trance listening to him, becoming a watcher in the room with the main characters. Also, if Anna Hendrix doesn't play the woman in red when the movie comes out I'm going to riot. 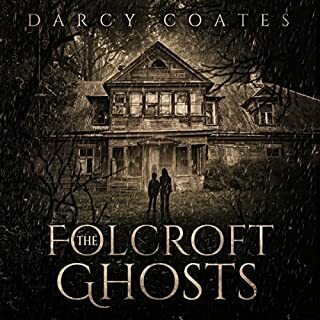 The book was entertaining however I didn’t feel that it was one of Darcy Coates best. I really did not like the ending and felt I was left hanging. 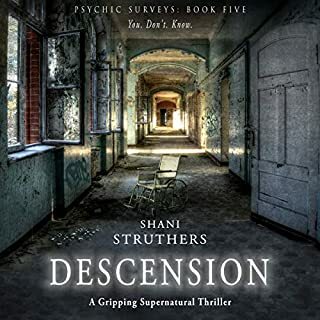 Well written scary story, kept me interested all the way, although there was a loss of pace two thirds of way in, for couple of chapters . 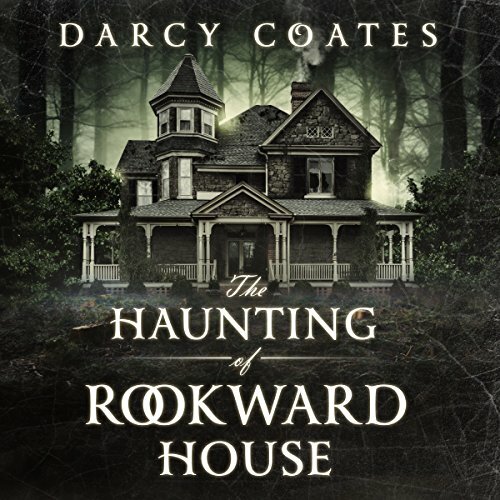 If you could sum up The Haunting of Rookward House in three words, what would they be? 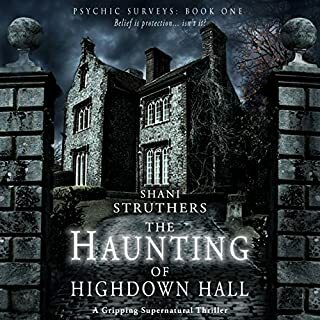 What other book might you compare The Haunting of Rookward House to, and why? A gripping tale that has an unusual turn. I thought it was going to be a straight forward haunting but I was surprised. 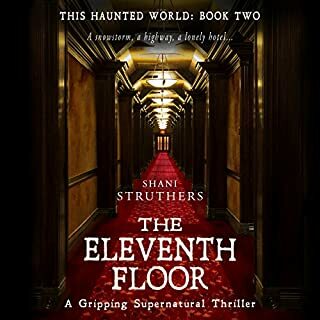 By the middle of the story I was hooked and couldn't wait to listen on. Really enjoyed this.. So many twists and turns. Creepily scarcely and keeps you wanting more.